Training systems actors in Bulgaria. At the request of its partners, the Bulgarian Gender Research Foundation and Demetra, The Advocates’ Rose Park and Theresa Dykoschak trained a group of police officers, judges, prosecutors, and others at the Black Sea Academy in Burgas, Bulgaria. Rose and Theresa lectured and conducted exercises focused on access to justice for immigrant women, interagency coordination, and good practice examples from Minnesota’s civil and criminal protections for domestic violence victims. 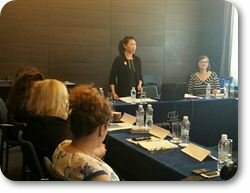 The Advocates and the Bulgaria Gender Research Foundation also conducted a fundraising and resourcing strategy training in Sofia, Bulgaria for 14 organizations. 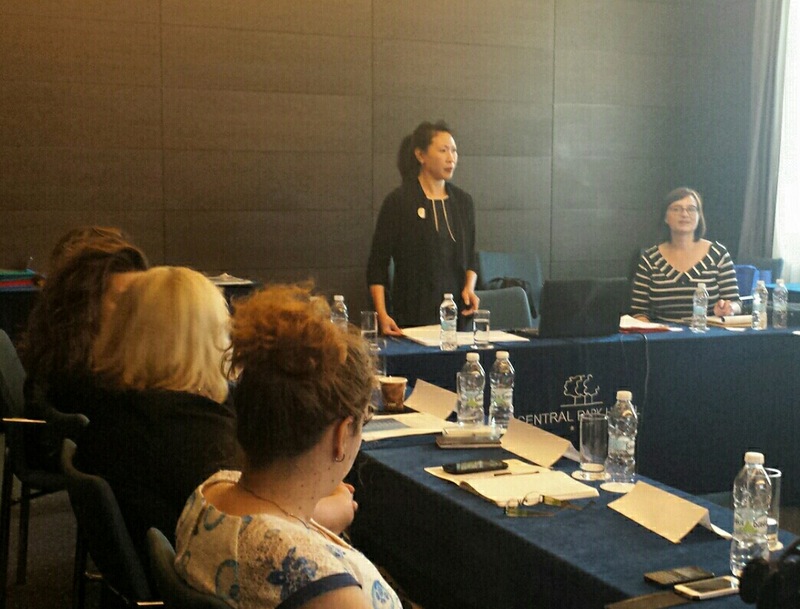 The training was designed to expand the fundraising capacity of organizations working to advance women’s human rights in Central and Eastern Europe and the former Soviet Union. Marketa Hronkova from La Strada in the Czech Republic joined The Advocates as a trainer.